You Need Promotional Products? Check Out Our Treasure Chest of SWAG and promo items for your business. Straight-laced types call them ‘giveaways’. We prefer SWAG. Whatever you call them, these branded marketing goodies are always received with an unmatched enthusiasm from your audience. Think about it…a marketing message they can actually use again and again. Like a pen. Or mug. Or….you get the point. But SWAG can be a mixed bag (pun intended) if you choose the wrong vendor. 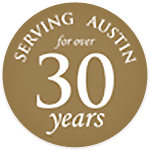 That’s why Austin regularly turns to Thomas Graphics to order promotional products for trade shows, special events or just regular giveaways to loyal customers. Count on us to deliver you the best goodies your trade show has to offer.